There are many CyanogenMod-based ROMs available, but not all are officially supported, that is, listed on their website. In particular, you’ll notice that the Samsung Epic 4G, Sprint’s version of the bestselling Galaxy S isn’t there yet. 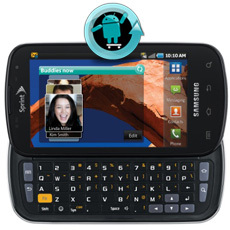 But that’s only a matter of time now, since Decad3nce, the developer of the CM7 port, announced a few days ago that the “Samsung Epic gets officially forked into Cyanogenmod”. And, sure enough, UberPinguin has now opened a forum thread for the new ROM, in which you’ll find all the necessary details and, of course, download links for your flashing needs.